Spending a few days on Whidbey Island for some R&R. 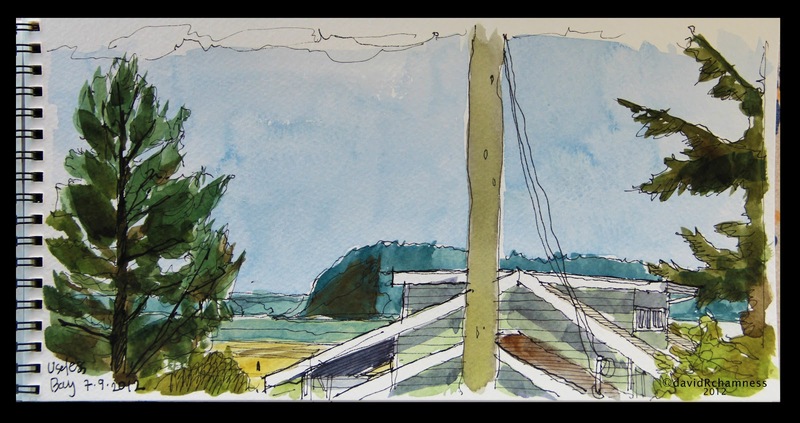 The weather has been beautiful NW summer and I have enjoyed spending time sketching the local scenery. Went into Coupeville and had a wonderful lunch of seafood chowder at the Mosquito Fleet Cafe. Saw some works by local artists at the Penn Cove Gallery and bought a small linocut piece by Linnane Armstrong. 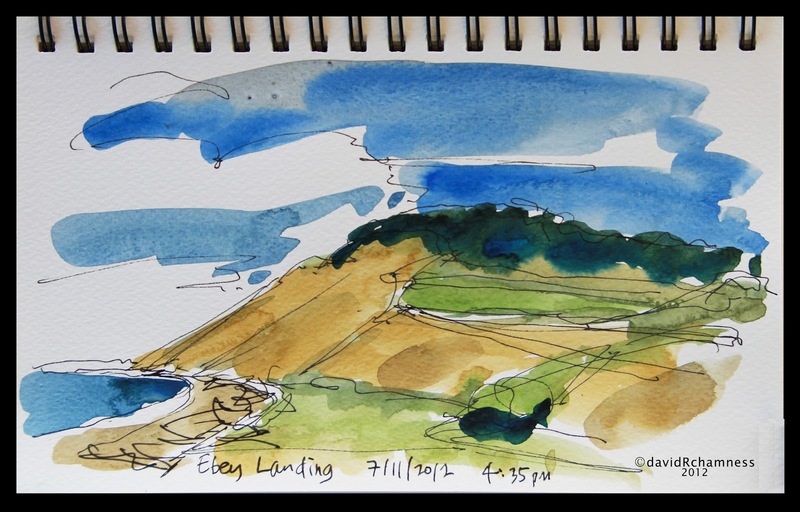 Yesterday spent time walking the trail at the Ebey Prarie and Landing. The fog took awhile to break, but then it was a glorious view of the sound and Olympic Mountains. 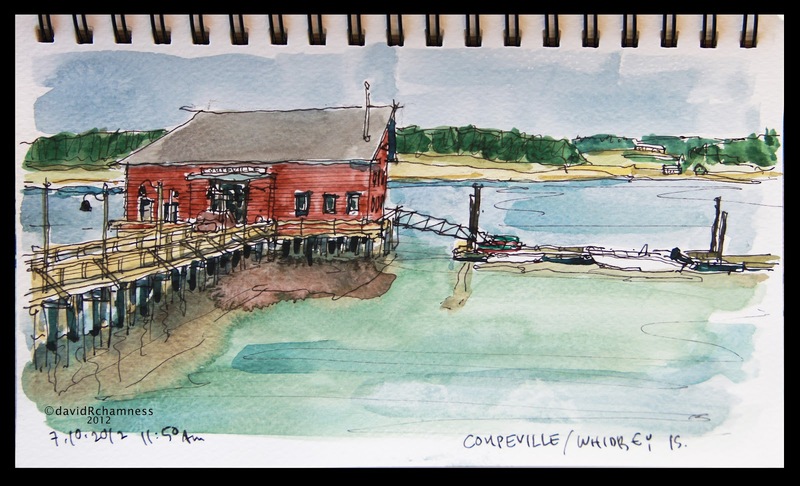 Will try and meet with the Whidbey Island Sketchers on Friday for their weekly outing in Langley. David, I especially like the Ebey Prairie and landing. The sky gives it such a fresh windswept feeling. I love Eby Landing. Loose and free. Mosquito Fleet Chili food is the best. Love sketching there. Hope to see you later today in Langley!